Arriving in style on May 16. Han Solo, the Rebellion general? The smuggler? Wasn’t he a war hero? He’s played the scoundrel and the hero, and in Star Wars™ Battlefront™ II: The Han Solo Season,* you’ll get to experience a little of both. The fun begins on May 16 with a trip back to the original trilogy before jumping into new content for June inspired by the forthcoming Solo: A Star Wars Story™ film – but more on that later. First, let’s talk about what you’ll be able to play this month. What happens when you don’t pay a Hutt on time? You end up as an accent piece in his throne room… a lesson Han Solo learned the hard way. 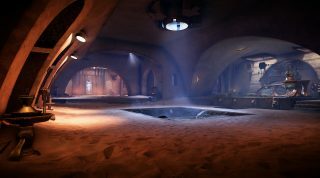 This month, fans of Star Wars Battlefront can revisit Jabba’s Palace in Star Wars Battlefront II as part of The Han Solo Season. 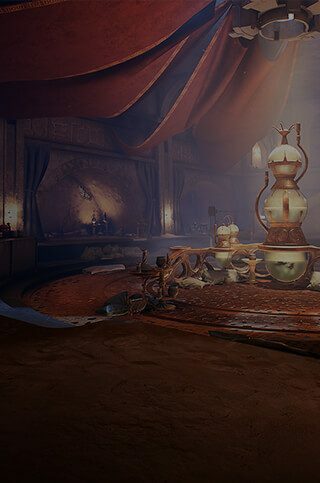 Available in Blast, Hero Showdown, or Heroes vs. Villains, players will be able to iron out their differences in the twists and turns of Jabba’s abode. We figure if we’re sending you all the way to Tatooine, you might as well be able to dress for the part. Don new Appearances (available for Credits or Crystals) inspired by the opening act of Star Wars™: Return of the Jedi™, with Lando Calrissian looking scruffy in his Skiff Guard disguise and Leia Organa donning the bounty hunter Boushh’s gear and featuring brand-new voice-over. Han Solo’s rarely seen without the mighty Chewbacca at his side, and in Hero Showdown – a new round-based elimination mode in The Han Solo Season – you’ll be able to take your favorite pairings into two-on-two Heroes vs. Villains battles. Han Solo and Chewbacca vs. Boba Fett and Bossk? Yoda and Rey vs. Vader and Captain Phasma? That’s up to you, but once a round is won, you must pick another duo for the next round. Bring out your wits and tactics for this one. No need to fly casual; you’ve asked for it, and we’re excited to add Starfighter Custom Arcade to Star Wars Battlefront II. You’ll be able to hone your skills in the cockpit with Starfighters from all eras, whether you’re aiming to turn Rebellion X-wings into stardust with your TIE/LN or hop into the Millennium Falcon to fly circles around enemy starfighters. We’ll have more to share in June after this month’s release of Solo: A Star Wars Story. 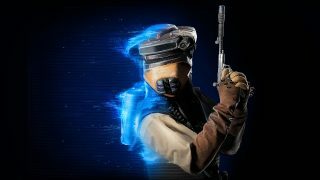 For more details on what Star Wars Battlefront II: The Han Solo Season includes this month, check out the latest Community Transmission. Remember to keep an eye on this space for full coverage and check EA Star Wars on Twitter, Facebook, and Instagram or join the discussion on the official forums. 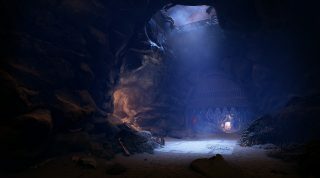 All screenshots here captured directly from the game engine. *Requires Star Wars Battlefront II on applicable platform (sold separately), all game updates, internet connection, EA account, and, for console players, Xbox Live Gold or PlayStation Plus membership (each sold separately).